Published: Sept. 23, 2015 at 07:26 p.m. Updated: Sept. 26, 2015 at 03:18 p.m. Through two weeks John Brown's box scores show pedestrian numbers, as the Cardinals' speedy receiver has been held under 50 yards in each of Arizona's victories over the Saints and Bears. Through two weeks, John Brown has been one of the NFL's most effective skill-position players. How do we make sense of those two diametrically opposed statements? 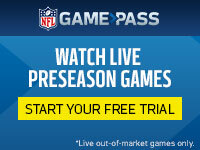 We consult NFL Game Pass, which shows that no wide receiver has created more scoring opportunities for his teammates. After watching Brown become the first rookie in NFL history to record four game-winning touchdowns in a season, defensive backs are being flagged for pass interference at an unbelievable rate this year. Brown has already drawn five penalties, including three red-zone P.I. fouls that have led directly to touchdowns for Andre Ellington, Jaron Brown and Larry Fitzgerald. Beyond those assists, Brown's route running and deception have freed up teammates for big plays. His Week 1 bunch route took out a pair of Saints defensive backs, springing tight end Darren Fells for a 48-yard catch-and-run. His fake jet sweep freed up home run-hitting rookie David Johnson for the game-sealing 55-yard touchdown late in the fourth quarter of the Cardinals' season opener. Brown isn't just serving up opportunities for his teammates. He has come up with diving catches of his own in each of the first two games and nearly pulled off the most spectacular play of any Arizona receiver this season. Showing no lingering effects of last year's ACL tear, Carson Palmer escaped pressure and threw 40 yards off one foot, dropping the ball into Brown's outstretched hands -- only to watch Saints cornerback Damian Swann get away with another pass interference penalty, hitting Brown a split-second before the ball's arrival. Brown has managed just 91 yards in two games, yet he's still on track for a breakout season as one of the most valuable players on Bruce Arians' 2-0 Cardinals outfit.